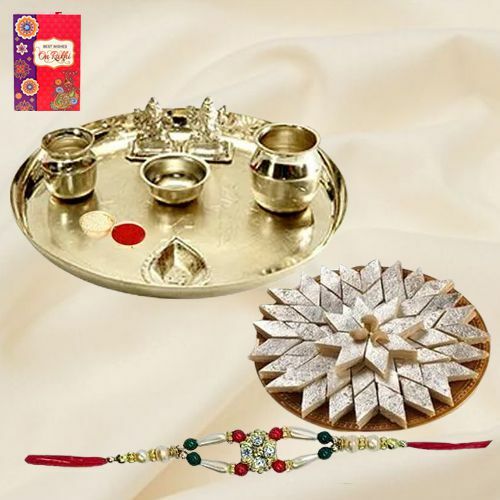 Treat you brother, cousins or any dear person this Raksha Bandhan with this Amazing Raksha Bandhan Gift Band with Aarti Thali that comes with a charming free Rakhi, Roli Tilak and Chawal. This beautiful Hamper consists of trendy Silver plated Paan shaped Puja Aarti Thali and delicious Kaju Katli from Haldiram 250 gr. The Thali has weight of 52 gm.